Infibeam is an Indian internet and e-commerce conglomerate involved in online retailing, e-commerce software and internet services. It is an online retailer for books, electronics, and automobiles in India. Infibeam is listed on the National Stock Exchange of India. Started Infibeam along with a group of Amazon employees. Infibeam launched 'Pi', India's first e-book reader. You can use Internet banking, credit/debit cards, e-gift voucher, CoD, and E-wallets to make your purchase. Cash on delivery requires no advance payment, you pay at the time of delivery in cash. 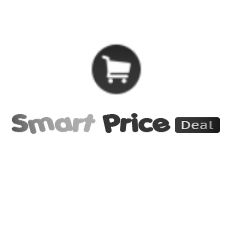 SmartPriceDeal, we make sure that all hidden coupons and offers are available to make sure you don't need to pay extra from your hard earned money. SmartPriceDeal make your purchase affordable and help you save on branded products.